Like yesterday, today's plan is a bit on the thin side, as the rover's power allotment will be primarily dedicated to activities associated with the Sample Analysis at Mars (SAM) and its preparation for a planned power-hungry experiment in tomorrow's plan. As a result, Curiosity only has about 50 minutes to make observations and measurements of the surrounding workspace, but the team did a great job in packing it full of great observations! We will first use Mastcam's multispectral imaging capabilities to image yesterday's brushed and analyzed target named "Newmachar," followed by a calibration image, and then two additional multispectral observations of two vein targets named "St. Kilda" and "Benbecula." Mastcam will then perform some additional stereo imaging to assess the workspace and to acquire enough data for the rover engineers to determine whether this area is safe for our first use of the drill since the Fall of 2016! 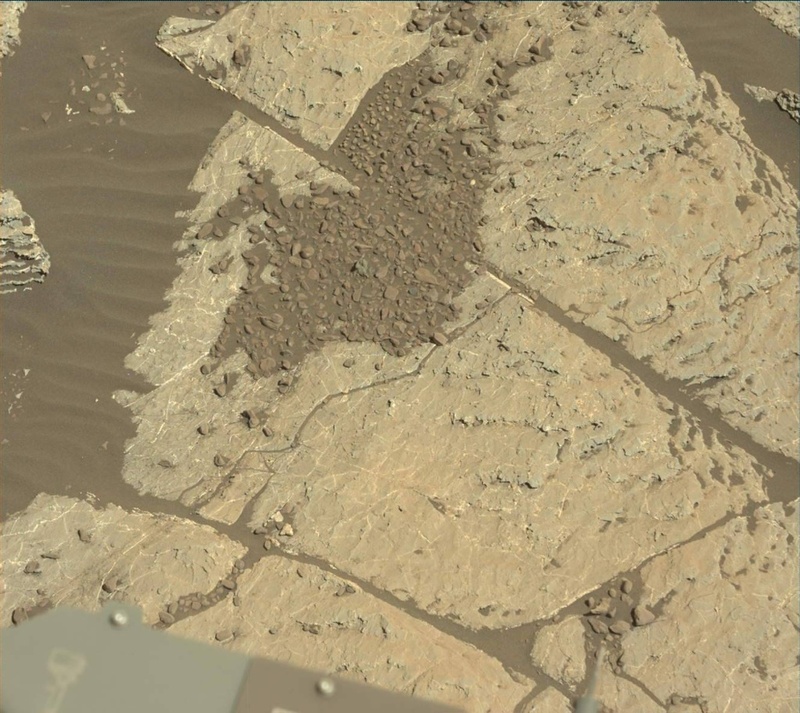 Following these engineer-requested Mastcam mosaics, we will also use the ChemCam RMI high-resolution camera to investigate some interesting targets in our workspace. It's not everyday that a science team member has a personal connection to a name selected for a target on Mars, but today is an exception. St. Kilda (a target name selected during today's plan) is the name of a small archipelago northwest of Scotland. Before the 1930s, these islands were home to only a few dozen people and, since then, it has become a World Heritage Site and a bird refuge. The islands are largely barren, rocky, and desolate. What does St. Kilda have to do with a member of Curiosity's science team? St. Kilda is closely tied to Linda Kah, today's Mastcam PUL, a member of the Mastcam team, and a Professor at the University of Tennessee. As her family's story goes, her great great grandfather wanted to purchase St. Kilda and move his family to the archipelago. However, after a family revolt, the purchase and move never took place. As Linda's mother (Ann Ferguson Kah) explained, the family refused to eat solely puffins for the rest of their lives! After the name was selected for today's target, Linda called her mother to inform her of this connection. Her mother responded "If St. Kilda on Mars is as remote as the St. Kilda in Scotland, your great great grandfather might try to buy that rock as well!"